Last year’s wildfires broke records, and the destruction has been repeated again this year. California’s Insurance Commissioner Dave Jones announced on September 06 that the Carr and Mendocino Complex fires topped $845 million in insured residential and commercial losses, marking them as some of the most destructive wildfires in California’s history. As flames level homes and businesses, a major concern is how all these structures will be rebuilt after the fact, an issue that still haunts communities following 2017’s blazes and the wave of other natural catastrophes. 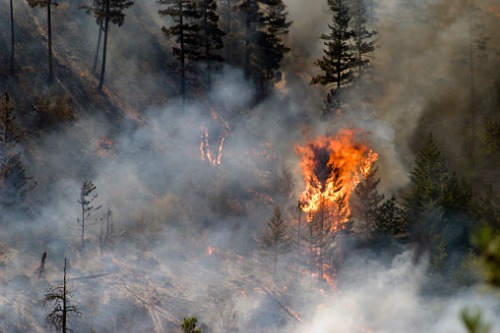 As they find coverage for their clients, agents and brokers need to pay attention to the marketplace shifts that have been occurring as a result of the severity and frequency of wildfires. Insurance companies are starting to more closely manage the amount of business they write in a particular area, explained Gatewood. “If an entire subdivision is engulfed in flames and destroyed, people don’t want to find out that they had 17 out of the 25 homes there, so they’re really starting to pay attention to concentration and not getting overly exposed in particular subdivisions, zip codes, and counties,” he told Insurance Business, pointing out that technology is also getting more sophisticated and allowing that kind of data to be more readily available to insurers. As wildfires rage on and other perils threaten communities, insuring to value becomes critical, and agents and brokers should lead the charge.